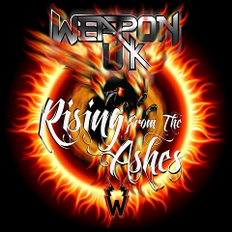 The original NWOBHM band WEAPON UK is back with their very first album "Rising From The Ashes" which will be released through Sound Discs on April 22nd 2014. WEAPON UK (at that time the band called WEAPON) was formed in 1980 by Danny Hynes (Lead Vocals) looking for a band and Jeff Summers (Guitar/Vocals) looking for a singer. The band has released so far under the name of WEAPON, 2 singles "It's A Mad Mad World" (1980) and "Ready 4 U" (2011), Demo '81 (1981) and a compilation album "Set The Stage Alight" (2003) which included some demos, was released through Zoom Club Records. They had numerous gigs and joined the MOTORHEAD's tour to support. WEAPON (UK) was mentioned on the METALLICA's Biography "Damage Incorporated" published in 2006. According to it, METALLICA opened its early live sets (and "Kill 'Em All" album) with "Hit The Lights" a song that begins with a noisy two-chord flourish meant to evoke the opening of a concert. However, in a further illustration of NWOBHM’s important role in METALLICA's musical direction, the opening flourish ― drum fills and all ― seems to have been lifted straight from the beginning of "Set The Stage Alight," a 1980 B-side by the band WEAPON (UK). 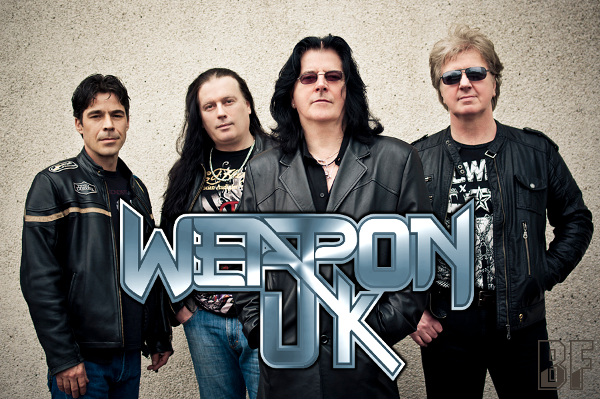 In 2005, WEAPON UK has celebrated their 25th anniversary and played at HEADBANGERS OPEN AIR BALL in Germany. Album "Rising From The Ashes" produced by four experienced musicians will not disappoint a fan of NWOBHM.